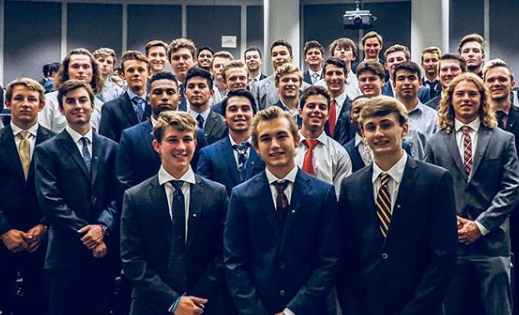 The fall term is well under way at Arizona State University, and when looking back since spring, it is clear that we have accomplished many things here at the Rho Theta Chapter. First, we now have an on campus Chapter House. This is something that even last year, we wouldn’t have even thought was possible. The house, with letters on it, allows us to represent ourselves. Now, we finally have a place to all gather, hangout, and even hold philanthropy events. During the spring semester there were a lot of activities that our Chapter took place in. The most fun was the Brotherhood retreat. It took place in Show Low, Arizona. It allowed us to get to know each other better. We also participated in many philanthropies where we competed in sports and other activities to raise money for certain charities. Next, fall recruitment was a great success. We ended up with thirty-two New Members. It was great to meet all the new future Brothers whom we will share our college experience with. A few of the Brothers also have achieved great things in the past year. 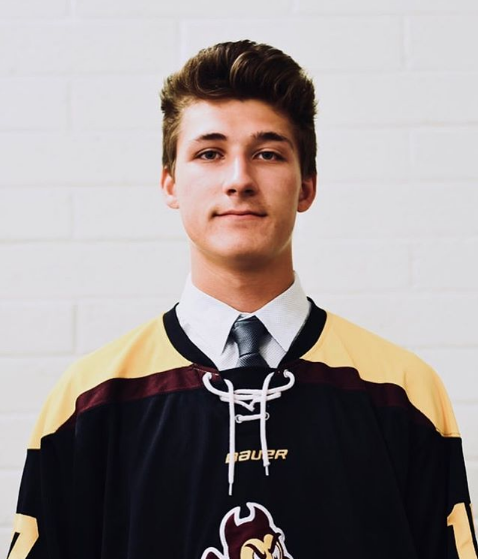 For instance, Brother Jared Hoerle, Rho Theta 2021, was just added to the roster of the Arizona State’s Division 1 Men’s Hockey team.